Industrial and rapid prototyping tools like laser cutters are now affordable and desktop sized! They will fit in any shed – so just what can you make at home these days? 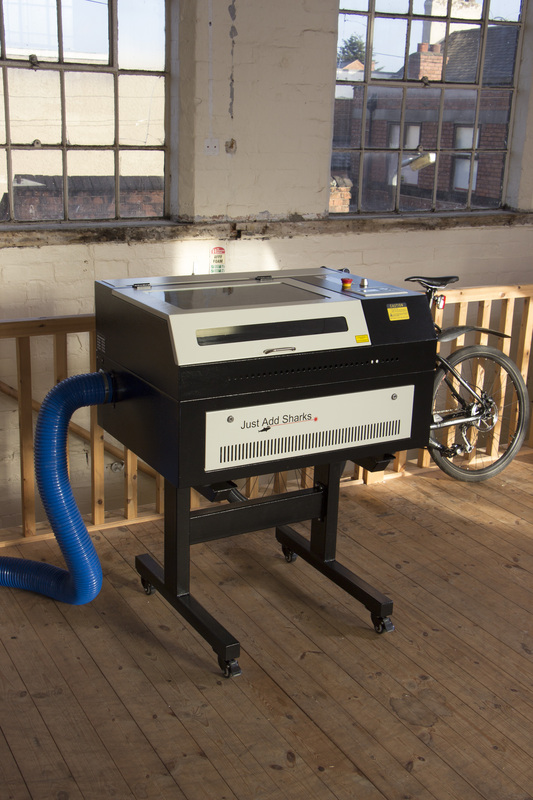 Just Add Sharks shows off the latest in home-friendly CNC making including a hands-on marble machine kit and an etch-a-sketch laser cutter controller and much more! This entry was posted in Maker Profile. Bookmark the permalink. Elephant and Castle Mini Maker Faire is independently organized and operated under license from Maker Media, Inc.